so what happened to the photo options??? the only thing for sure is change. OK, I'm a moron, how the heck do you post a freaking photo? I was curious what the requirements were to post photos. How big a file and so on.. I know GRID and Tosspot post some pretty big files and was wanting to test some options. But the attach options are not available to me in this area. Is that normal? Last edited by Cyclops on Tue Mar 21, 2006 11:28 pm, edited 1 time in total. Cyclops wrote: OK, I'm a moron, how the heck do you post a freaking photo? OK thanks. I'll check into photobucket, but it seems like it should be easier than that. I've noticed if you were to start a thread, or reply in other areas, and you selected the *additional options* button, you have *attach* options available. But in this test are I don't have those options. I'll PM one of those guys when i get a few more minutes to mess around in here. Cyclops, when you are posting a reply, there is a little button, the second from the left on the bottom row of clickable buttons. That gives you image tags like (img] and [/img], so insert the URL of your photo(s) between those tags. That means that the photos have to be hosted on the Internet somewhere first. You can use this site's gallery, that's what I do for most of my image hosting needs. Last edited by Cyclops on Sun Mar 26, 2006 10:31 am, edited 1 time in total. dont give up, tosspot can help you too. you had it, so keep trying. You can also go to Photobucket.com, sign up, and upload photos. Then, the site shows you a link to the pics below each one. Then you come here, and when making a post, hit the little image button up above, then slap the link in between the brackets. MidWestSider wrote: How are you resizing? On my PC I can resize images using the usual photo editor options and on Photobucket there is an option to resize photos (75%, 50% or 25%) and each time I try that and attempt to post a picture it looks like takes up the same amount of space. beccanator wrote: On my PC I can resize images using the usual photo editor options and on Photobucket there is an option to resize photos (75%, 50% or 25%) and each time I try that and attempt to post a picture it looks like takes up the same amount of space. I had the same problem with photobucket. I finally figured out how to use the Skyscraper Users Gallery. My photos loaded like I wanted here. I'm sure there's a way to do it on photobucket too, but I haven't figured it out yet. Cyclops wrote: I had the same problem with photobucket. I finally figured out how to use the Skyscraper Users Gallery. My photos loaded like I wanted here. I'm sure there's a way to do it on photobucket too, but I haven't figured it out yet. Click the Image tab> Click Image Size> Select your desiered size under Pixel Deminsions, usually anything less than 700 width is good. Make sure Constrain Proportions is selected to keep your original aspect ratio. click ok. Thanks for the tip. I did adjust the image size by inches option, but *not* the pixel dimesions option. Makes sense. Hope y'all don't mind my testing a picture post here. Never done it before. 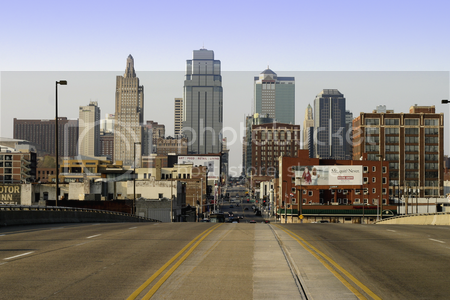 I took this picture (if it shows up) when I visited Kansas City in October, 2005. How do I get it to post here? I put the link within the bracketed img's. But the link refers to a web page rather than to the picture itself. Last edited by Roanoker on Wed Apr 19, 2006 9:07 pm, edited 1 time in total. in between the img tags. You can get that by right clicking on the photo, clicking on Properties, then copying and pasting that URL ending in .jpg you can copy and paste by right-clicking. 1. Hold down the ctrl key and click on the picture. 3. Click on "Copy image address"
4. The correct address is now on the clipboard. Now to decide if anyone would actually want to see these pics. Thanks again for pointing me in the right direction!